A new expert network which helps organisations safely manage and share sensitive data has been launched. The UK Anonymisation Network (UKAN) will advise organisations and companies on how to minimise the risk that personal details of individual people are inadvertently revealed when data are used to create valuable services. It was initiated and funded by the UK Information Commissioner, supported by the University of Southampton, The University of Manchester, the Open Data Institute and the Office for National Statistics. The network aims to establish best practice in anonymisation and offer practical advice and information to anyone who handles personal data and needs to share it. This is particularly relevant in sectors such as health, education and policing. It will advise on technological issues, issues relating to the Freedom of Information Act and how researchers can access sensitive data. Its core membership of experienced professional information managers and leading privacy researchers will help provide case studies and examples of best practice. 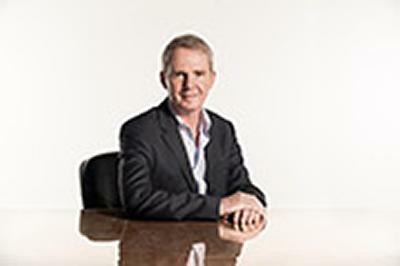 Professor Sir Nigel Shadbolt, of the University of Southampton and Chairman and co-founder of the Open Data Institute, said: “If we are to harness the power of open data to support innovative services, increase accountability and empower citizens, we will need to ensure trust is retained. The Network will help organisations deliver the Government’s Transparency Initiative, which promotes greater openness of Government departments, public bodies, companies and other institutions. It is led by Dr Mark Elliot, based at The University of Manchester. Dr Elliot said: “Because technology is rapidly changing, and because so many more organisations collect data nowadays, information privacy is one of the big issues facing society. Christopher Graham, UK Information Commissioner, said: “If correctly deployed, anonymised data can have important benefits - aiding privacy by design, increasing the transparency of government and supporting the UK’s widely regarded research community. It is vital that existing and emerging data protection risks are properly assessed by data controllers who wish to anonymise data.